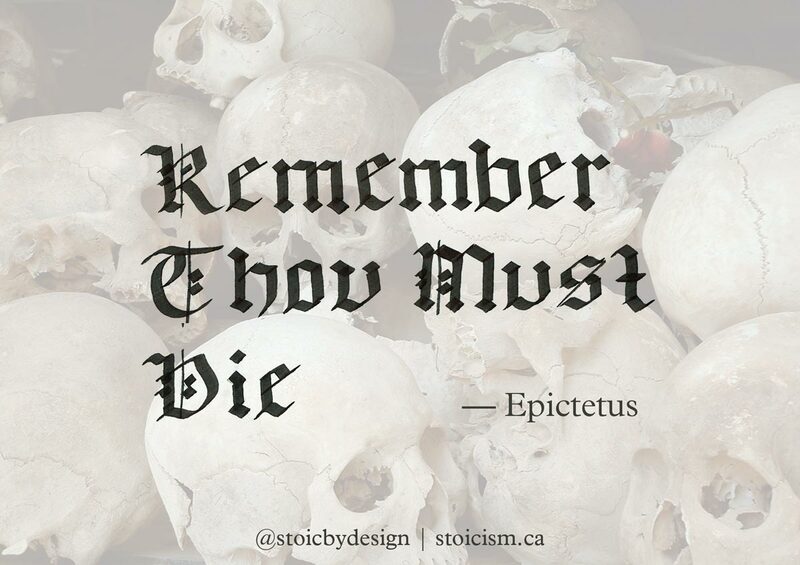 Another maxim pulled from the 2015 Stoic Week Handbook, this quote is associated with Epictetus and I find it serves two purposes for me. It reminds me of the natural inevitability of death, which helps me not fear it. It also reminds me to make the best use of the life I have by living it purposefully. On a side note, the image comes from a trip to the Killing Fields in Cambodia. My wife and I were travelling South East Asia, and this country had a deep impact on us both. We found these people to be incredibly happy, friendly and welcoming. As we learned more about the tragedy in their past we were blown away with their resilience. Easily misinterpreted as morbid, I have found since practicing stoicism that these “memento mori” are pretty effective at changing my attitude about life and death. Have you tried contemplating or meditating on death?